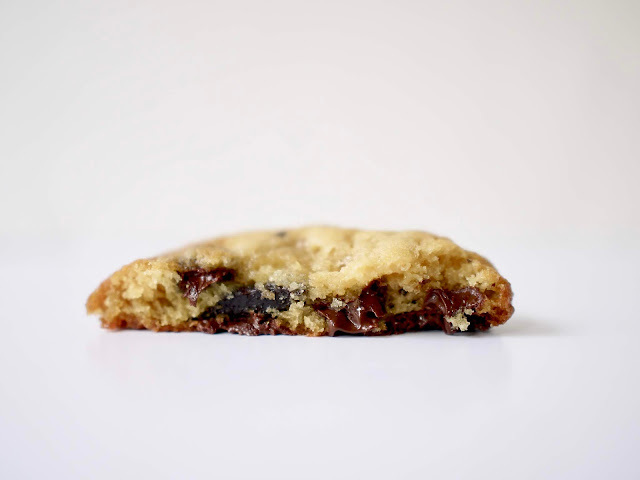 Is there anything better than a warm, thick, gooey chocolate chip cookie? When I was halfway through the Whole30 last summer, I craved and dreamed about freshly baked chocolate chip cookies. And now I've decided to embark on a little project to keep me occupied through the long, cold winter: to find the perfect chocolate chip cookie recipe. 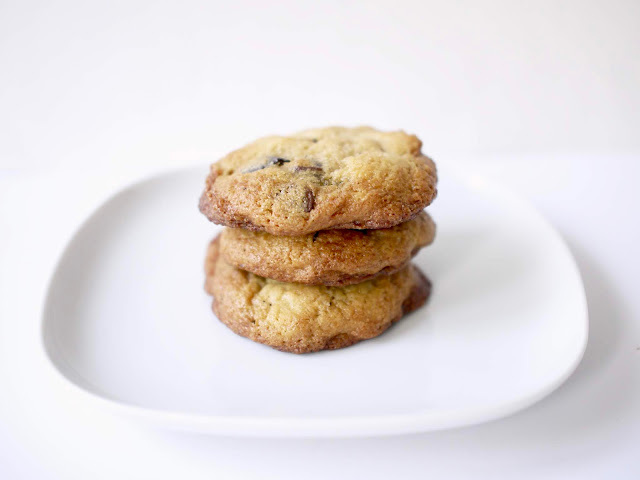 My ideal cookie has a soft center with the right balance between sweet and salty and a good caramel and buttery flavor. My favorite recipe for years was the Toll-House Cookie Recipe but the last time I baked them, I found myself wanting a more complex flavor profile (they seemed a little too sweet for me). 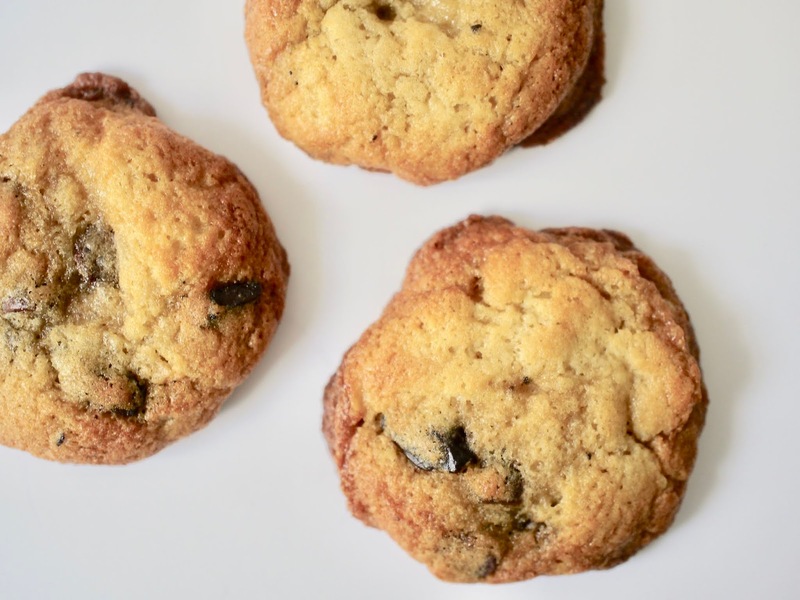 Last weekend during a snow day, I decided to try my first batch of cookies, turning to this New York Times Thick-and-Gooey Chocolate Chip Cookies recipe. Thick and Gooey being in the title made it seem quite promising.